Nicole Richie by Brandon Hurst is a Top Spot publishing book it tells the tale of Nicole Richie's life from childhood to adolescence to the fashion designers life at this present day. It is such a great read with some rare pictures of Nicole Richie inside. 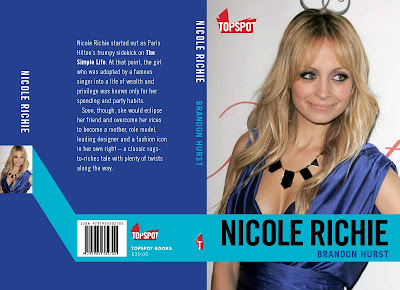 To receive 25% off Nicole Richie by Brandon Hurst simply head to Top Spot Publishing and enter 'richienews' upon checkout. I can't wait to receive my copy!